If our FAQs do not answer your questions, please feel free to call me or email me. Why is CPM 10V(A11) and CPM15V better than High Speed Steels? CPM 10V and CPM15V powder metal tool steel are versatile tool and die steels which provide extremely high wear resistance in combination with relatively high impact toughness. A very large volume of hard vanadium carbides provides the high wear resistance. The good impact toughness is the result of the fine grain size, small carbides, and superior cleanliness of the powder metallurgy (CPM) micro-structure. The CPM process produces very homogeneous, high quality steel characterized by superior dimensional stability, grindability, and toughness compared to steels produced by conventional processes. You DO NOT need any special grinding wheels to sharpen this steel! Can a new turner start using our high quality tools or should he buy cheap tools? 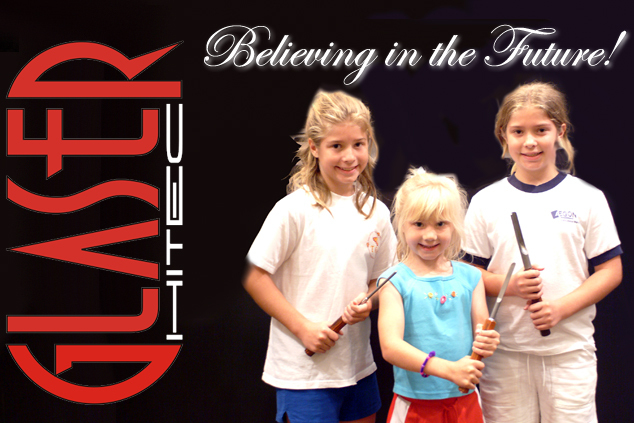 You can start using our quality tools providing that you are able to sharpen properly. The last thing you need is to practice on a high quality tool like ours and when you least expect, you have ground away ¾” of the flute length. The use of a sharpening jig can reduce your learning curve. Also, you might not need to sharpen your Glaser tools all the time. Honing it with a diamond plate goes a long way. I would strongly reccomend reaching out to Alan Lacer and order one of his fabulous honing diamond stones. The Delta Grinder 8″ slow speed grinder is what we have at the shop. They used to be made here in the USA but as you all know things have changed. Obviously this is a one-time upfront investment which will most certainly eliminate most of your sharpening issues. 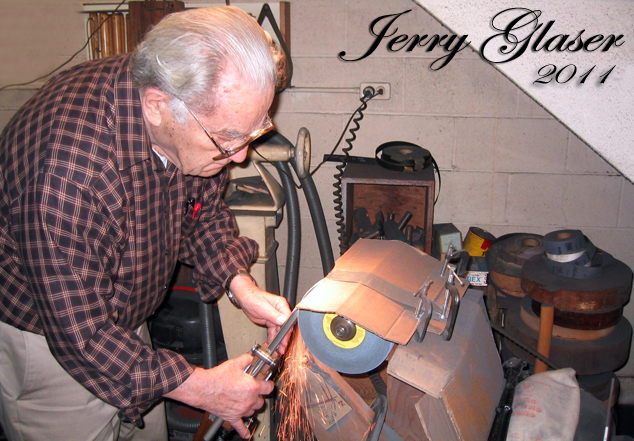 You are also welcome to download Jerry Glaser’s famous sharpening article (click here). You can also enhance your sharpening skills by ordering Jimmy Clewes “Turn It Up” DVD series. It is my personal opinion that Jimmy is the utmost authority in grinding. Buying tools made from the final materials available today, will significantly reduce the need of repeat sharpening. And that is what Glaser Tools are all about. Once you find the grinding jig of your choice, with the grinder OFF, place the tool against the wheel and practice the side to side sweeping motion needed to grind the cutting edge. To learn how to grind using these tools will waste about 1/4 inch of steel, so use a very light touch. I will be posting videos on this subject soon. I also reccomend a wide diamond wheel. They have come a long way. The cost to learn with a good tool. One good tool is worth more than a bunch of cheap tools or blades. Most professionals only use a couple of tools all the time because they have learned to use those tools well. 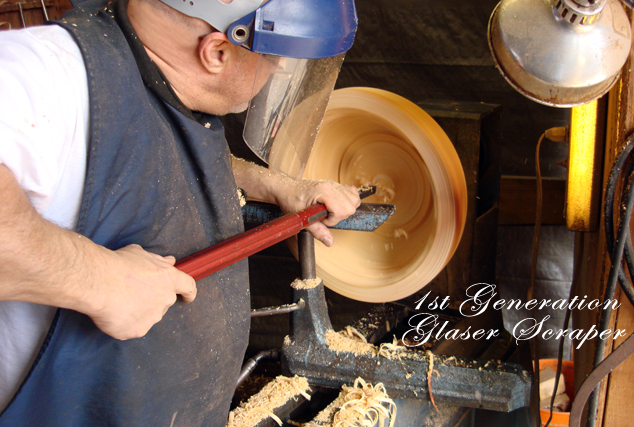 When starting out one 1/2″ inch oval bowl gouge is enough to turn a 12 inch bowl. When you see you got that right, call us and we will guide you on your next tool purchase. As a new turner what tools should I buy first? When I started, before I knew it, I owned about $2500 worth of tools. It would be easy to entice you to buy our high-quality tools, but I STRONGLY suggest that you stick with the basic tools and that you try a bowl first (a salad bowl will make the wife happy and more compliant toward more tools or a lathe 🙂 ). As you learn you will sense the need to add other tools. Although you might hear that you should not waste your money on a set, you will become more creative if you have the diversity of a nice set. You will discover that when you get exposed to our miniGlaser QR (guaranteed). In the beginning the tools to have are a 3/8″ and a 1/2 oval bowl gouge. It will be sufficient to get you through a 12 inch bowl. As I mentioned, remember that the flute shape is “an oval bowl gouge”. You might get different answers over this subject but the reality is that the flute is an oval. Why do your tools come as one unit (aluminum handle and blade)? Because our tools are a SYSTEM and not just blades inserted in handles with a set screw! One of the most innovative aspects in woodturning history was the introduction of aluminum handles “filled with lead shot” introduced by Jerry Glaser back in 1985. Aluminum makes exceptional strong and rigid handles. All our handles have unique shapes and will not roll when placed down. “Aluminum extruded handles when filled with lead have much greater vibration resistance than wood. This concept made the tool practically vibration free, and the added mass gave it much more stability. The vibration that is generated at the top of the tool when it’s cutting is transferred down the length of the tool where it is again transferred to the lead shot. Since the shot is not packed tightly, it will begin to resonate. If you could x-ray the handle while turning a bowl blank, you would see some incredible buck shot gyrations.” Lead shot is a dense, relatively soft, malleable metal with “low tensile” strength and it has been proven to have excellent vibration-dampening characteristics”… Jerry Glaser. Fast Forward to 2017: We introduce another revolutionary way to fight vibration. Glaser Hitec’s Vibration Dampening Gel. Handles are “lighter” and more responsive with the gel. At the same time, the vibration dampening capabilities of the gel are far superior than the lead shot. REMEMBER: Your tool handle should NOT be a weight ballast. 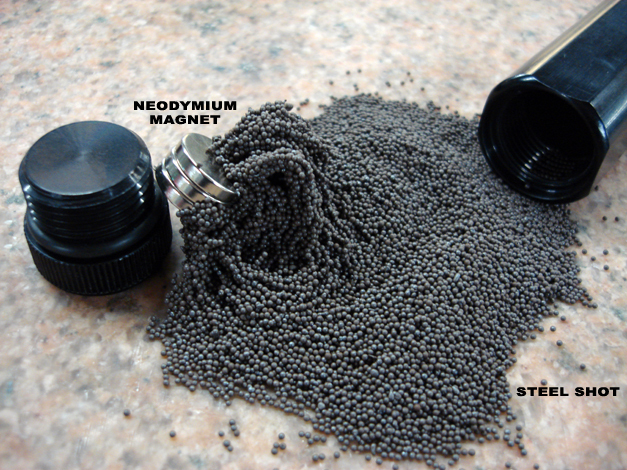 The purpose of “lead shot” is to provide tool leverage and counteract vibration, which consequently reduces fatigue. Steel shot will most definitely INCREASE the handle vibration. Cheap imitations want you to believe that filling your handle with steel shot provides the same anti-vibration results as lead. IT’S NOT TRUE! Can kids use our woodturning tools? Under proper supervision and guidance, woodturning is an absolute joy with kids. 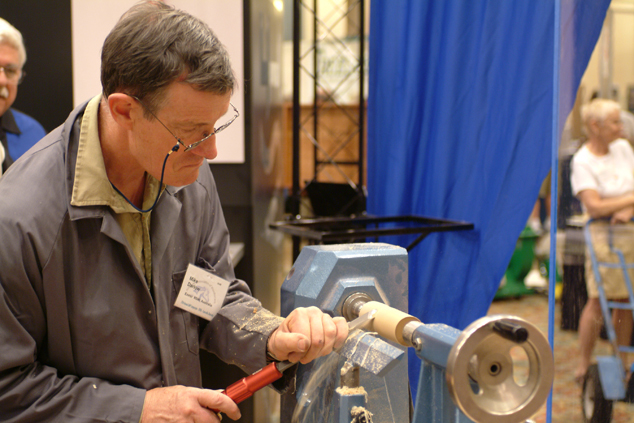 The best way possible to introduce kids to woodturning is signing up for Bonnie Klein’s Youth Turners Program with the American Association of Woodturners. Glaser Hitec has sponsored that program in the past by donating a substantial amount of tools for Bonnie’s students. Our juniorG tool set is a great start for the future artist. Contact me if you are interested in these tools. Why do we freeze our tools? Cooling our tools to -320degrees can double or triple the time between sharpening. And here’s the real kick: it’s impressive! About 150 years ago, Swiss watchmakers noticed that extreme cold changed the properties of their metal clock parts for the better. So after manufacturing their gears or what have you, some watchmakers would then store the parts in caves during the cold swiss winters and let them freeze. Unwittingly, they had given birth to what is now commonly known as cryogenics. During the last century, toolmakers and metal heat-treaters have explored what extremely cold temperatures do to tooling, metals and other materials. 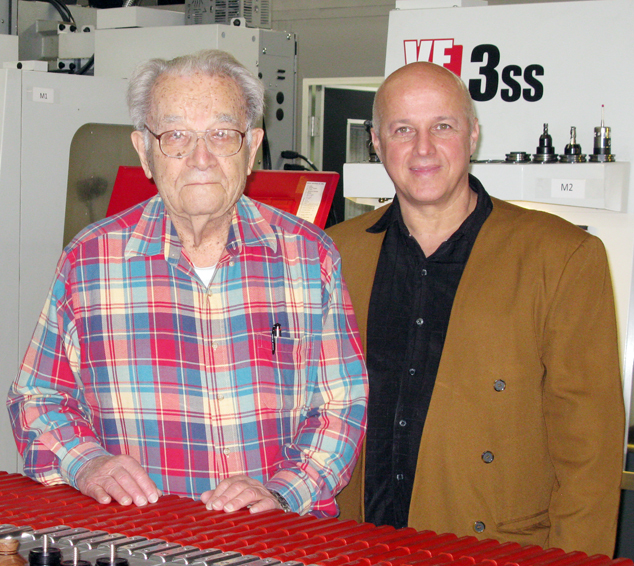 Being a visionary, Jerry Glaser has been using cryogenic tempering since 1995. But in no way shape of form, cryogenics should be used as the mainstay of tool performance as claimed today. If Powder Metal and Cryogenics is the future of woodturning, Jerry Glaser has been living in the future for many years now. For certain types of metals, cooling them to -320degrees F can make them at least twice as resistant to wear as untreated metal. The wear resistance is permanent. In a Nutshell: What Cryo Does! There’s a little science here, but it’s easy to digest. When tooling is made, the manufacturer heats it to make it hold an edge. During heat treatment, the structure of the steel changes. As it is heated, the steel has a structure that is called “austenite,” which is softer and has a coarse, irregular grain. When the blade is quenched (reduced quickly in temperature), the austenite changes into “martensite,” which has a finer grain and is more resistant to wear. The problem is that the transformation from austenite to martensite is never 100%. If a tool is carefully treated, it might end up with 90% martensite and 10% austenite. Commercial heat treating typically results in about 75% martensite. By carefully cooling the steel to -320degrees F and then thoroughly re-tempering the metal, nearly all of the austenite is transformed into martensite. It has been proven to be 99.9% transformation or more. All tooling will benefit from cryogenics, and if the steel is an alloy containing cobalt or tungsten, the cryogenic process will create very fine micro-carbides, which add even more durability to the edge. As a rule with metals, the higher the alloy content, the better the cryogenics will work. Perhaps one of the strangest aspects of cryogenic treatment is something that experts have yet to fully explain. It seems that after a tool has been frozen and then re-tempered, some report you won’t get the added wear-resistance until the tool is re-sharpened. There is a layer of metal that’s between .00007″ and .0001″ thick on the outside that remains untreated. This is where our “Surface Compacting Technology Process” comes in. By removing this layer, the tool works great. We call it the “Thin Film Phenomenon,” and that is why people thought cryogenics was a crock in the early days. People would treat their sharp new tools, put them to use and see almost no difference in the tool’s life. By getting rid of that “thin film” after the cryogenics process Jerry was able to obtain the full benefits of the cryogenic treatment. One of the keys to getting the best results is to choose a lab that has some knowledge of heat-treating and metallurgy and is willing to soak the tools for a long time. 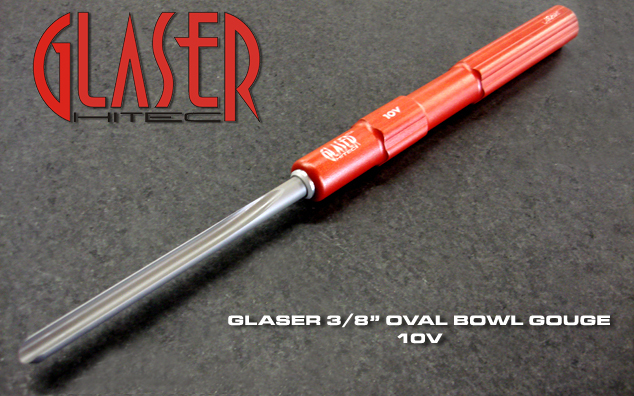 Glaser tools go through what we call a – Long Bath. Our chambers use gaseous nitrogen to reduce the temperature slowly; we keep them there for 20 hours or more (using either gas or liquid nitrogen), and then slowly return the tools to room temperature. Down to -320 degrees and back one degree at a time. Jerry researched extensively this process and his studies showed that bringing the temperature down to -320degrees created a more durable tool. Plus, his research showed that soaking the tools for hours was what led to the creation of the micro-carbides, which lend additional wear resistance. After the tools return to room temperature, the tools need to be re-tempered because the new martensite is fragile and can shatter. 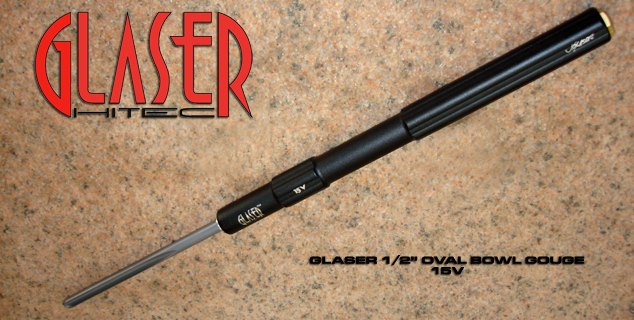 It has been working for Glaser tools for many years now. We believe you can expect your tools to last two or three times longer between sharpenings. Why aren’t the shanks on all Glaser Hitec bowl and spindle gouges turned down to a common fractional size? Because we are a tool SYSTEM, comprised of an extruded “no roll” powder coated handle, a high-strength aluminum adapter sleeve which the blade is inserted and joined by using a “super-strong” retaining compound, lead shot for vibration dampening and a lead retaining hex button. The the handle is laser engraved. Jerry Glaser did not make a name for himself by copying or selling replacement blades. Jerry developed a legacy which up to this day is being copied and imitated. High quality tool steel like CPM10V (A11) is sold .015 oversize. We do not change that in order to make our tool fit in aftermarket handles. We sell high quality tool systems. Why are skews and scrapers more expensive? For the past few years, the price of tool steel has consistently been going up. CPM10V in plate format is inherently more expensive. 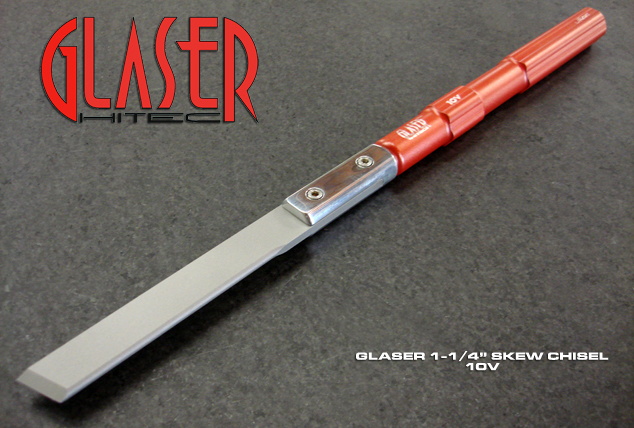 At Glaser Hitec, we have already defined the method from which to manufacture our scrapers and skews in order to offer you the best affordable tool in the market today. On top of that, since we sell “tool systems” our scrapers and skews are secured by an aluminum adapter which has two high-tensile stainless steel screws holding the blade. It makes it easy for removal and exchange. Obviously, the system is then complemented by the high quality powder coated lead filled handle. When you use a Glaser Hitec scraper or skew you will notice right away the easiness of handling and the superb vibration-free feeling you get from its performance. Bottom line is it that it takes a lot of time and money to produce a high quality tool, and we will spare no effort and money to provide you with the best. What is the difference between the American and European standards to measure a tool?